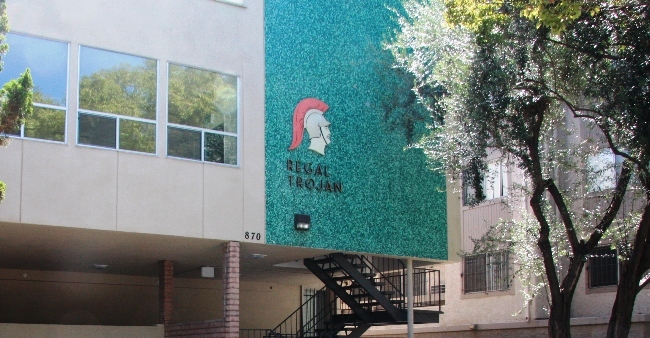 Located off campus on Adams Boulevard, Regal Trojan is luxury at a value price. 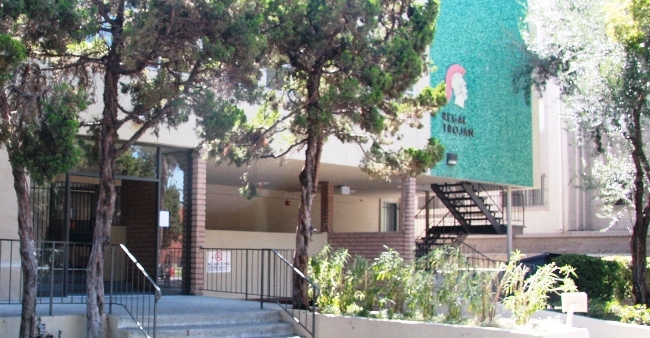 The size and layout of the building provide a safe, communal atmosphere for our graduate student families. 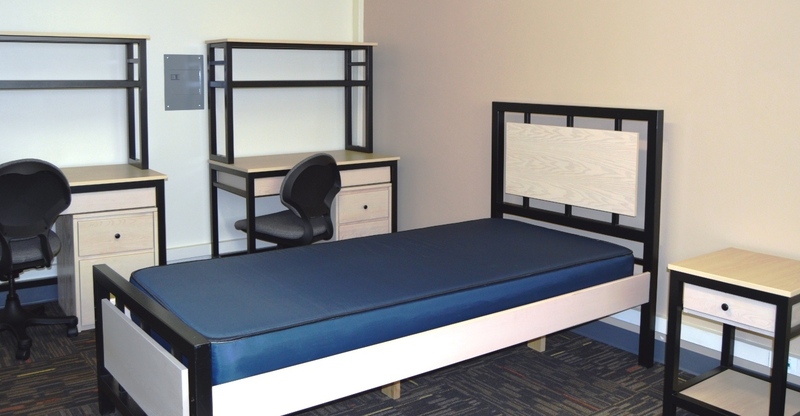 The one-bedroom units are known for being the largest in all of USC's housing, and are a great option for married couple with one child. 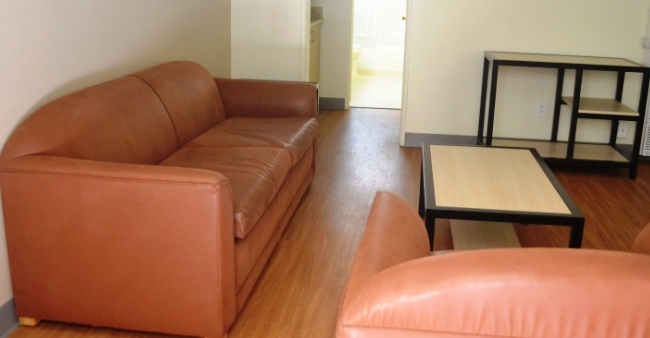 The two-bedroom apartments are reserved for students with two or more children. 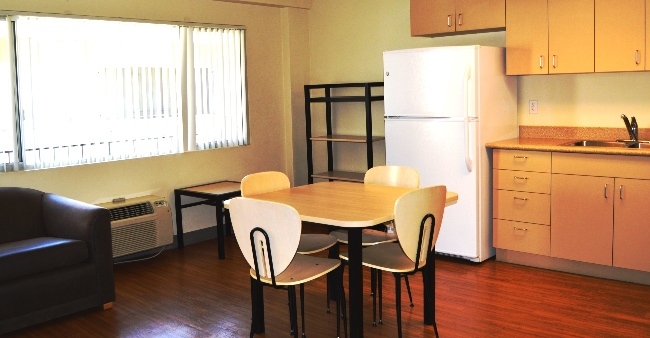 Most of the two-bedroom units have two bathrooms and all apartments have living room air conditioning. 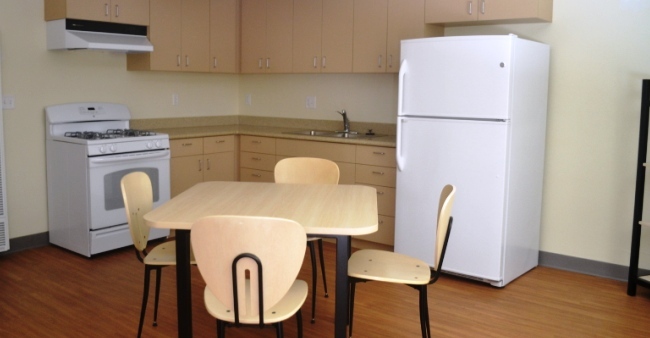 A recent renovation included new kitchens, windows, flooring and furniture. 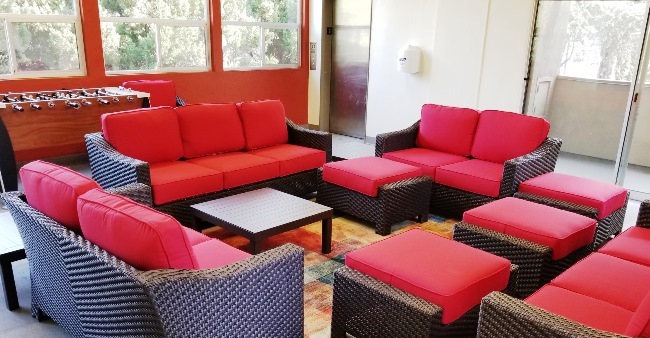 The building's central courtyard and multiple sun decks, complete with chaise lounges and a built-in barbecue, maximize interaction among residents while providing a place for children to play. 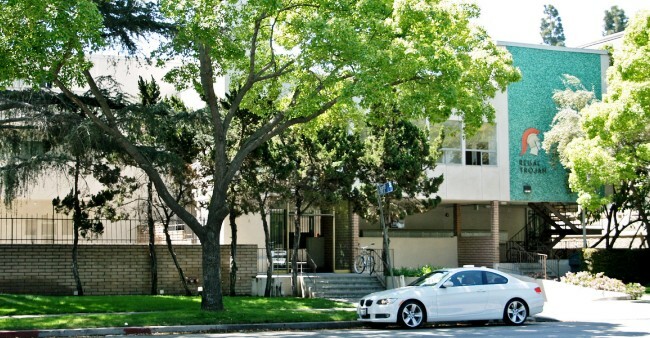 Residents will have a Full Year contract, from early August to late July. 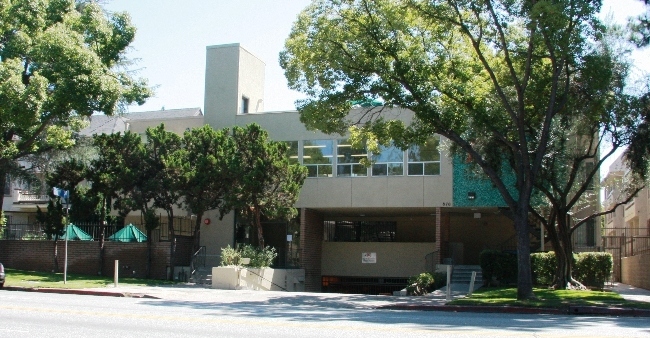 There is a nearby USC bus stop that makes getting to campus easy, and parking is available in a large garage beneath the building.